I really believe there are things nobody would see if I didn’t photograph them. I read these words by Diane Arbus a long time ago, but they always seem to resurface in my mind when I'm photographing. 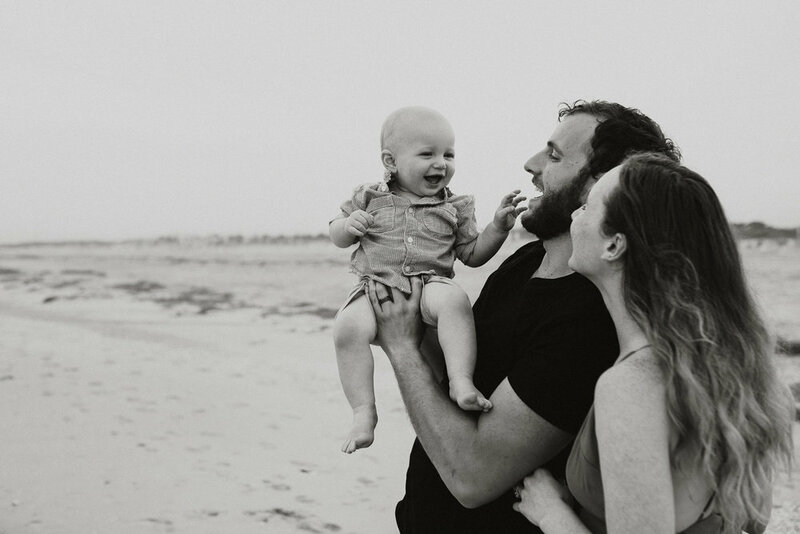 Last week I was honored to get this sweet family in front of my lens, (Kate happens to be an incredibly talented portrait photographer based in NJ! ), and Diane's words really resonated with me when I was preparing the photographs from our session. Consider the way Jon looks at Kate as she looks toward their son - you don't always know how a person looks at you when you aren't looking at them, that is until a photograph exists. I've experienced this myself and it's hard to find the words for it, you have to see it to really feel it, but seeing the way that the one you love looks at you from outside of yourselves is pure magic. Click Here for your free copy of "the 5 Most Important Questions to ask" during your search for a photographer!